♠ All UK laws must be interpreted, so far as it is possible to do so, in a way that is compatible with HRA rights. ♠ If an Act of Parliament breaches these rights, the courts can declare the legislation to be incompatible with rights. This does not affect the validity of the law – the HRA maintains parliamentary sovereignty as it remains up to Parliament to decide whether or not to amend the law to achieve compatibility. ♠ It is unlawful for any public body or authority to act incompatibly with human rights (unless under a statutory duty to act in that way), and anyone whose rights have been violated can bring court proceedings against the relevant public body or authority. The HRA is not the same as, for instance, the US Bill of Rights or the German Basic Law, which entrench rights and allow courts to strike down incompatible legislation. Instead, the HRA preserves the long-held doctrine of parliamentary sovereignty that Parliament alone can decide whether or not to repeal or amend legislation. This is in stark contrast to the European Communities Act 1972, which allows UK law to be overridden if it conflicts with directly enforceable EU law. The HRA adopts a ‘dialogue model’ – whereby the courts have been invited by Parliament to indicate when legislation is incompatible with human rights but allows Parliament to decide if, and how, it will address the incompatibility. 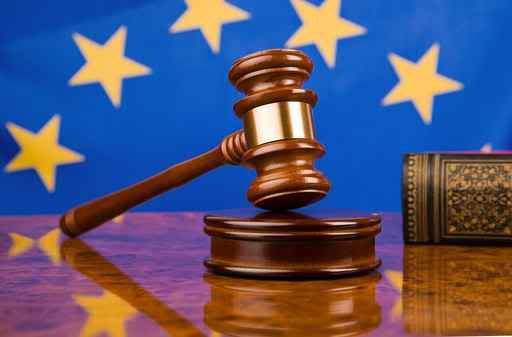 In interpreting questions about human rights the courts must ‘take into account’ any decisions made by the European Court of Human Rights, but only to the extent that the Court considers them to be relevant. This does not bind UK courts – rather it requires the courts to take into account relevant judgments, much like they do under common law rules of statutory interpretation. Under the HRA, and with the establishment of the Joint Committee on Human Rights, Parliament has a significant role to play in upholding and promoting fundamental rights and freedoms. Section 19 of the HRA requires any Minister who is in charge of a Bill in both Houses of Parliament to lay, before the Second Reading of the Bill, a statement which says that, in the Minister’s view, the Bill is either compatible with human rights, or that it is incompatible but that the Government nevertheless wishes to proceed with the Bill. This is an executive statement giving the personal opinion of the Minister introducing the Bill – it is not binding on Parliament or the courts. It is intended to encourage Ministers and the civil service to consider the human rights implications of proposed legislation before it is introduced. The statement of compatibility can often act as a trigger for prompting debate within Parliament about the compatibility of draft legislation. Explanatory Notes (which accompany Bills) also now include detailed information as to why the legislation is considered to be compatible with human rights. This means that detailed policy justification for proposed measures is provided which in turn helps to inform parliamentary debate. If a court has found UK legislation to be incompatible with human rights, this does not affect the validity of the legislation. It is up to Parliament to decide whether to amend the relevant legislation. Section 10 and Schedule 2 of the HRA provide a mechanism whereby amendments can be made by a Remedial Order. If a Minister considers there are compelling reasons to do so, he can make an order to amend legislation in order to remove an incompatibility recognised by the courts. A draft of the Order must be laid before Parliament for 60 days and then approved by resolution of both Houses before it can be made. The only exception is in respect of urgent orders, which allow for an interim order to be made which will have no effect if not approved by both Houses within 120 parliamentary days. This is intended to ensure that clear breaches of human rights can be dealt with swiftly, rather than waiting for a legislative slot which can often take months if not years. Section 3 of the HRA provides: So far as it is possible to do so, primary legislation and subordinate legislation must be read and given effect in a way which is compatible with the Convention rights. This requirement to interpret laws compatibly with human rights applies to anyone interpreting the law – be it a court or tribunal or public authority acting under the law. This interpretation clause applies to all legislation – including laws passed before the coming into force of the HRA. An important qualification in section 3 is the requirement that laws be interpreted compatibly with human rights only “so far as it is possible to do so”. It does not give the courts power to make new laws as any interpretation must be consistent with the Act being interpreted. Section 3(2) of the HRA provides that this interpretative power does not affect the validity, operation or enforcement of any Act of Parliament. If an Act of Parliament requires subordinate legislation to be made (such as Orders or Regulations) that is incompatible with human rights, that subordinate legislation will not be affected by section 3. However, if the subordinate legislation could have been drafted differently and could have complied with human rights the courts can strike down the subordinate legislation. This is similar to the courts’ existing powers to strike down subordinate legislation that is outside the power of the primary Act – as subordinate legislation does not have the same status as primary legislation which has been fully considered by Parliament. Section 4 of the HRA provides that if a higher court (such as the High Court, Court of Appeal or Supreme Court) considers that a provision in an Act of Parliament is incompatible with human rights, it can make a declaration of incompatibility. This is a declaration by the court that it considers a particular legislative provision to be incompatible with human rights. Section 4(6) specifically states that a declaration of incompatibility does not affect the validity, operation or enforcement of the law. So the law will not automatically change as a result of a declaration of incompatibility being made. Instead, Parliament must decide whether it wishes to amend the law. In the first ten years of the HRA being in force less than 30 declarations of incompatibility were made. Section 6 of the HRA provides: It is unlawful for a public authority to act in a way which is incompatible with a Convention right. This obligation does not apply if under the law the public authority could not have acted differently. ♠ Police officers; ♠ Local authorities; ♠ Government departments (such as the Home Office); ♠ Statutory bodies (for example the Information Commissioner’s Office; the Serious Organised Crime Agency, the Office of Fair Trading etc. ); ♠Prison managers and staff; Some private bodies in certain circumstances if contracted to carry out work on behalf of a public authority – e.g. if publicly funded to perform work that is work generally carried out by government (so for example, privately run prisons are considered to be public authorities); ♠ Nursing and personal care accommodation providers (designated under the Health and Social Care Act 2008). What is not a public authority? ♠ Parliament, and anyone exercising a function in connection with proceedings in Parliament (such as MPs and peers in Parliament); ♠ Anyone acting in a private capacity (for example a police officer in his or her private life); ♠ A private company not exercising functions of a public nature – i.e. a private company that receives no public funding, is under no statutory obligation to perform its functions etc. One of the main aims of the duty on public authorities to respect human rights is to ensure that all decisions and actions taken by such bodies properly take into account individual rights and fundamental freedoms. ♠ Award compensation to the extent the court considers it necessary, just and appropriate (see section 8 of the HRA). The courts often take into account the conduct of the person seeking compensation in deciding whether to grant compensation. This is in addition to the courts’ power to make a declaration that the law (rather than the decision made under the law) is in breach of human rights.